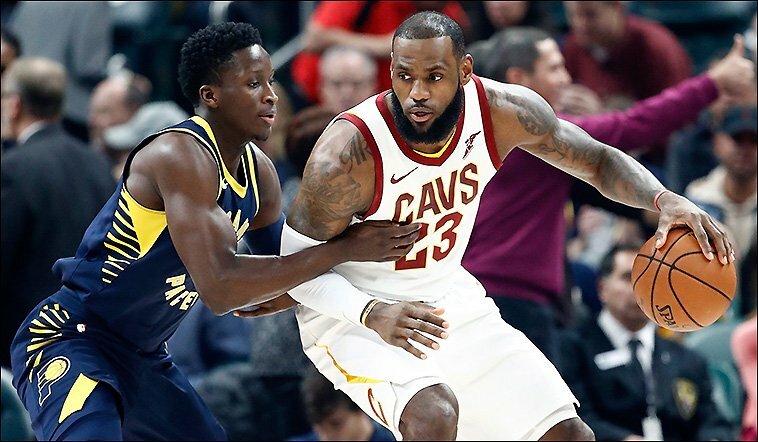 CLEVELAND – The present and future generations of the NBA are set to square off on Thursday evening at Quicken Loans Arena. Cleveland (20-8) looks to win its 15th game over the last 33 days, as LeBron James gets his first taste of Lonzo Ball and the 2017-18 Lakers (10-16). Despite rumblings of James potentially departing for Los Angeles at the culmination of the campaign – where he recently purchased a new mansion – both teams currently have their sights on gaining ground at the top and bottom of their respective conferences. Cavs probable starters: PG Jose Calderson, SG J.R. Smith, SF LeBron James, PF Jae Crowder, C Kevin Love. Lakers probable starters: PG Lonzo Ball, SG Josh Hart, SF Brandon Ingram, PF Larry Nance Jr., C Brook Lopez. Cavs injuries: PF/C Tristan Thompson (calf – OUT), SG Iman Shumpert (knee – OUT), PG Isaiah Thomas (hip – OUT), PG Derrick Rose (ankle – OUT). Lakers injuries: SG Kentavious Caldwell-Pope (personal – OUT).